MUMBAI — In my memories of my grandmother, one image of her comes to my mind: that of a widow with a tonsured head, wrapped in a dull brown cotton sari worn in traditional style, a blank forehead without the usual vermilion powder or kumkum, bare neck, empty ears and hands unadorned and shorn off all jewelry. Her ankles and feet were bare too — without the traditional anklets or silver rings worn on the toes of both feet — the symbol of married women. I also have a very vivid story of my grandmother etched in my memory. I had gone to Melkote, the idyllic temple town near Mysore — where she lived with one of her sons, my maternal uncle — during my school summer holidays from Gorur, where I studied in the local government Kannada medium school. In those days, a favorite vacation was being taken to your mother's birth place to be with your grandmother, carefree and pampered. I must have been eight or nine. My older sister was by my side. I'm not sure what led my grandmother to recount this poignant episode, but it was heart-rending. Her eyes welled up in tears, and with dreamy eyes into her distant past, she narrated this event. She was married off as a child-bride of 13 to a boy — also young, just 16 — who was studying to be a Sanskrit pundit and training to become a purohit (priest) in Melkote, a Srivaishnavite pilgrim center founded by Ramanuja a thousand years ago. When she was in her late 30s, her husband took ill and died. She had three children — two boys and a girl, my mother. They were all in their teens and in school. As she was bent, broken in sorrow, the barber shaved her head. She was in total shock and grief. But what she remembered with unbearable pain was the day the various ceremonies and rituals were performed in public in the presence of relatives and other locals of the village, the manner her widowhood was formalized and announced. She was seated on the floor amid two priests who, surrounded by many relatives, chanted various mantras. First they removed all her ornaments, including her mangala sutra — the holy necklace that her husband had tied around her neck on the day of her wedding. Then they smashed the glass bangles on her wrists contemptuously, removed the rings in her ear lobes and her toes, unfastened the anklets, erased her vermilion roughly even as she shook and sobbed inconsolably and was drowning in her sorrow. A village barber, ready and waiting with his sharpened blades, was ushered in to perform the ritual of tonsuring her head. As she was bent, broken in sorrow, the barber shaved her head. She recalled, in tears, how her copious and luxuriant tresses fell to the ground. The chanting continued. She was dizzy and overwhelmed by the events. Then she was led to the bath; after her relatives poured water on her and scrubbed her, she was given a plain brown cotton sari that became her prison uniform for the rest of her life. The message was clear and writ large: She was now branded a widow. She was deliberately disfigured, made over to look ugly and divested of all her finery and her jewels, condemned to live an austere life in a corner permanently with a tonsured head, to be shaven twice a month — to ensure that she would never be attractive to other men. That story and those soul-piercing images still haunt me whenever I think of her. And images of other widows that I occasionally saw in many homes float before me as I imagine the cruelty and horror they must have endured when their husbands died. Thankfully, such abominable rituals and barbaric practices — a curse from the Vedic past — are rare these days. 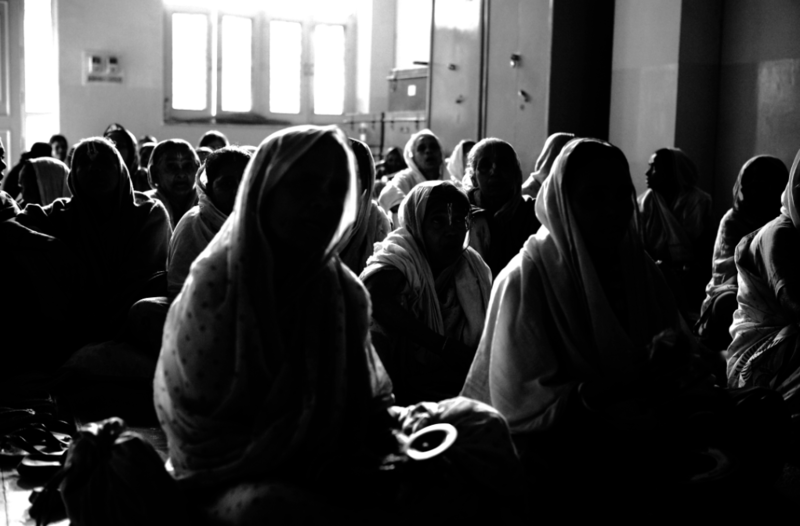 But discrimination against widows and their ill treatment is still prevalent in many parts of India. Widows remarrying are no longer uncommon. Untouchability is still practiced in devious ways but assertion, affirmative action and empowerment of Dalits and stringent punishment guaranteed under the law are good deterrents. Those soul-piercing images still haunt me. Child marriage and the practice of "sati" (widow immolation) are all things of the past fortunately, thanks to visionary and courageous reformers like Raja Ram Mohan Roy and others. Many young people today can never believe that such terrible and inhuman practices existed not so long ago. When you pause and consider all of this, you are shocked at the reactions of many fire-breathing fanatics, frothing at the mouth on television panel discussions, hysterically protesting against the entry of women of "menstruating age" (arbitrarily decided as age 10 to 50) into the Sabarimala temple — even after the recent Supreme Court verdict allowing women of all ages to enter the sanctum sanctorum of the temple to end any kind of gender discrimination against women. The Supreme Court judgment was in line with with the spirit and broader tenets of the constitution when it passed many recent landmark rulings — notably against the "triple talaq" instant divorce practice, criminalization of homosexuals, discrimination of LGBTQs and a few others. The hypocrisy of both the Congress and BJP stands out — and is laughable and shameful. The Congress, a party that presents itself as progressive and liberal while painting the BJP communal, has no qualms in blissfully opposing triple talaq — all for the sake of Muslim votes — just as it opposed the historic Shah Bano judgment while Rajiv Gandhi was the prime minister by amending the law. Different strokes for different religions. The BJP is hell bent on enforcing the triple talaq law to consolidate a Hindu-majority vote bank by portraying itself as anti-Islamic. In Sabarimala, the BJP lawmakers — though in the ruling party — are making a laughing stock of themselves, without even a pretense to a fig leaf of concern to uphold the constitution. The party is brazenly defying and disregarding the Supreme Court verdict, offering warped logic justifying the ban on entry of women into the Sabarimala temple, while in same breath welcoming the triple talaq judgment. The Congress party's actions are as regressive as they are perched on two blinkered horses, both on a gallop. On the one hand it's trying to outdo the Muslims by supporting triple talaq to ingratiate itself into their demographic, and the other trying to appease the Hindu vote bank by upholding primitive traditions that are a blot on a civilized society. Hindu women all over India do not generally visit any public temples, voluntarily avoiding the visits during menstruation even where there are no bans of any kind. They do not even light lamps of deities or offer any prayers even in their own homes. It's a self imposed restriction based on their personal beliefs. It's voluntary and there's no policing. It's discreet and dignified. But imposing a ban by male priests in a public place of worship on women who are of menstruating age is medieval, discriminating and humiliating to human dignity. Decades hence, when we look back at the Sabarimala incidents, they will hopefully be part of our shameful past — consigned to the dustbins of history — and our grand children will look at them incredulously, just as they now think of sati or tonsuring of widows. *G.R. Gopinath, a retired Indian Army captain, is an author, politician and entrepreneur who founded Indian budget airline Air Deccan.